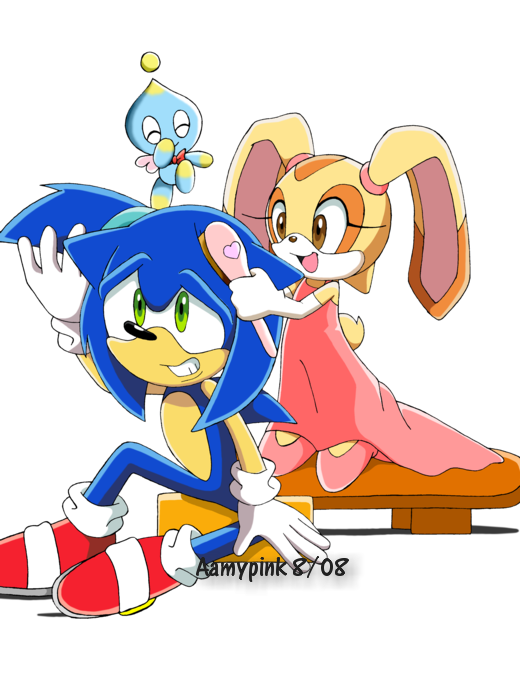 cream getting on sonic's nerves. cream getting sonic ready. Wallpaper and background images in the Cream the Rabbit club tagged: cream cheese. This Cream the Rabbit photo contains নকল মানুষের, কমিক বই, কমিকস, and কার্টুন. Sonic: ugh, this is the last thing i need. Cream: u promised to do it for me though. Sonic: ok, just for u. IT SERIOUSLY IS, SO DON'T GO CRYING AT ME SAYING IT ISN'T BECAUSE IT IS! Cream: WOW SONIC!!! u look so pretty!!!! Sonic: yea yea, just don't tell the guys OK? Sonic is like a big brother to me! lol! I love doing Sonic's hair off-screen! He always loves to play house and tea w/me! Cream : You look really beautiful Sonic! Cream : *Giggles* I like playing as my FAVORITE character! Sonic : Oh...And who might that be? Cream : Princess Cream! Are you forgetting Prince Sonic? SONIC?! LOL LOL LOL!!! I'M SO SENDING THIS TO ALL THE GUYS!!! Rouge : LMFAO!!! CREAM IS SOOOO TORTURING SONIC!!! HA HA HA!!! Sonic stai proprio bene così! Cream: Sonic, just think of being a prince. 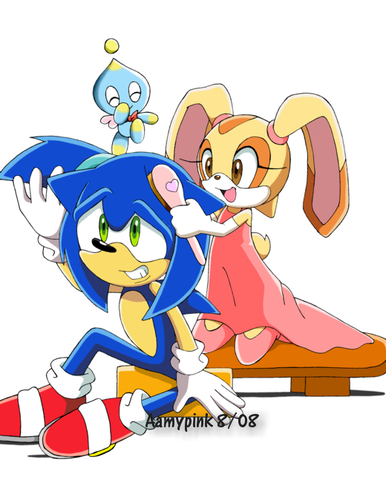 Sonic: Cream,I look like a girl!!! Take my hair out of a ponytail!!! Cream: (looking scared) Okay okay. poor sonic. he must be so embarrassed! Soic looks more happy than ticked. Sonic: Wow. Thanks for the new hairstyle, Cream. Cream: Your welcome, Mr. Sonic. Sonic: I told you, Cream. Just call me Sonic.